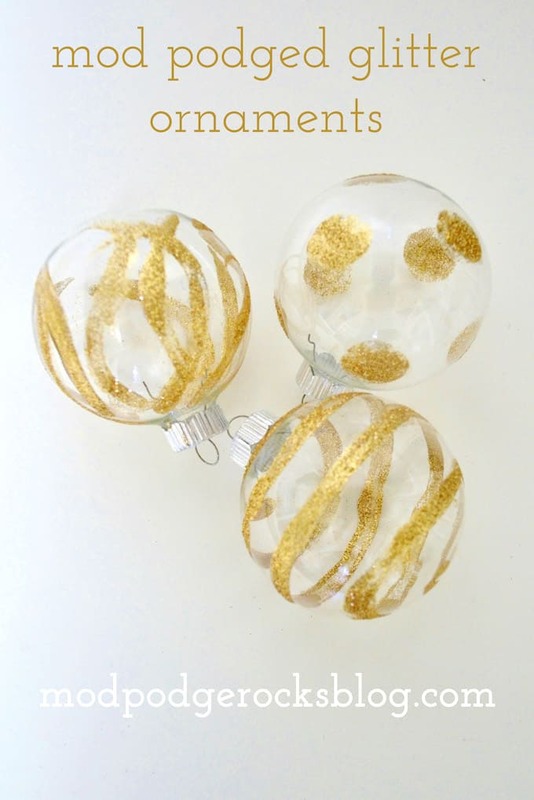 Do you love the look of sparkle and bling on your tree? 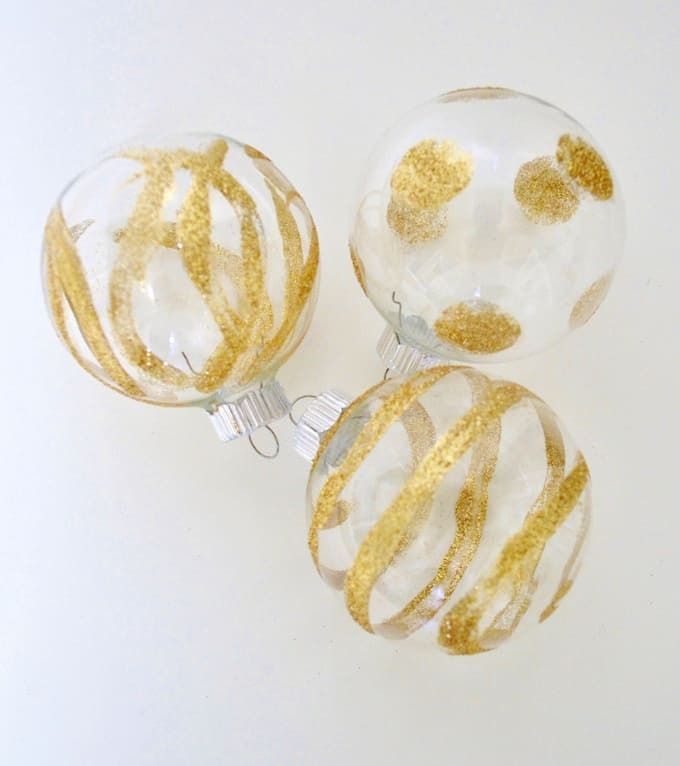 These pretty glitter ornaments are EASY to make – and like a million bucks. In the midst of the busy holidays, it's always nice to take a crafty time-out . 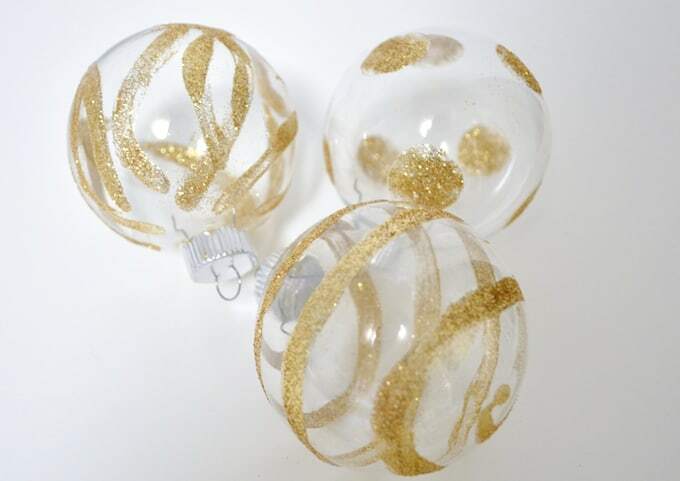 . . and if your craft time produces cute ornaments that can be used as gifts or even gift toppers, all the better! 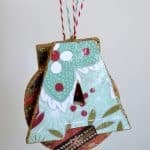 These glitter handmade ornaments also do really well at craft fairs and there are so many ways to customize these cuties. Let's get started! 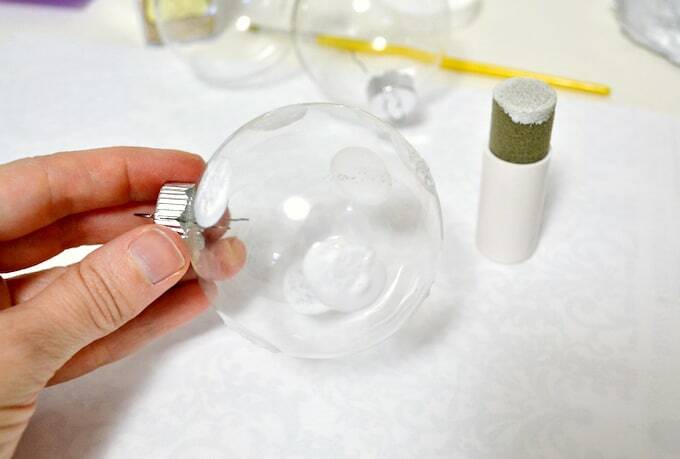 Step 1: First, you'll want to take your Mod Podge, pour a little bit onto a piece of parchment paper or foil, and create your design on your ornament. I did simple dots, as well as free-form lines. 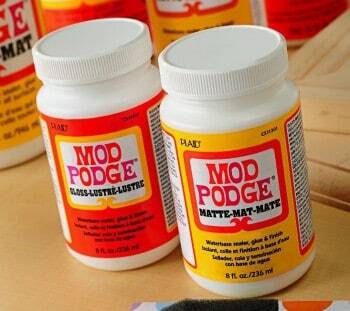 Just don't let this step take too long–Mod Podge dries fast! 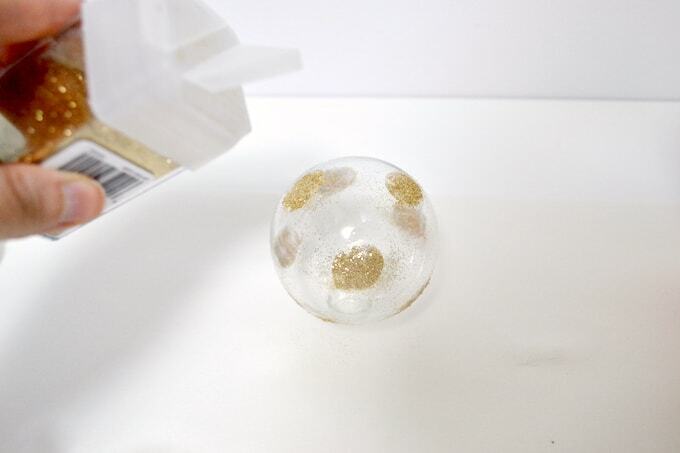 Step 2: Gently sprinkle your glitter all over the painted parts of your ornament. Let dry. Thank you so much for letting me share my glitter ornaments with you all today! You can find lots of other tutorials and inspiration on my blog! Have a lovely day! 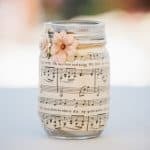 Don't miss another post! Subscribe and get a free eBook upon signup. 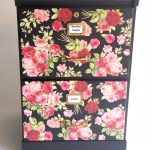 DIY File Cabinet Makeover the Easy Way! I love these Amy. 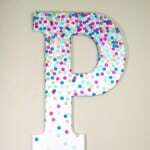 What a difference a little bit of Mod Podge and glitter makes. This is awesome! Your projects are so fun and inspiring! Thank you for the ideas and making them so accessible!!! 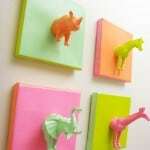 Love these and my kids would love making them too! Don't miss another post. 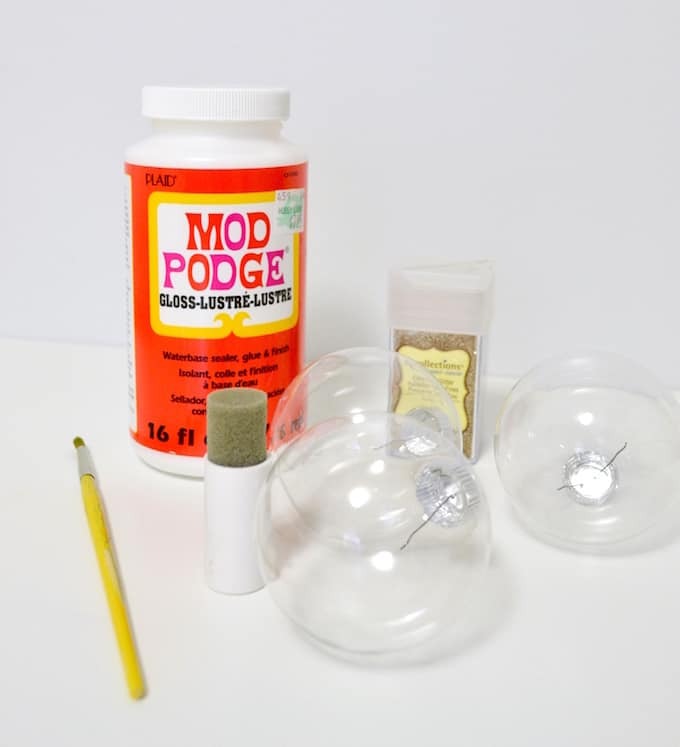 Subscribe to the newsletter and get a free Mod Podge eBook!